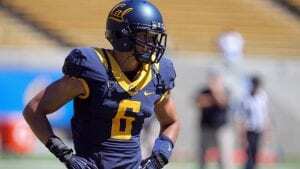 The whispers began after the Colorado Buffaloes fell apart in the Oregon State game. Those same whispers turned to shouts after the Buffs dropped their sixth game in a row, after a 30-7 drubbing by 19th ranked Utah at Folsom Field. 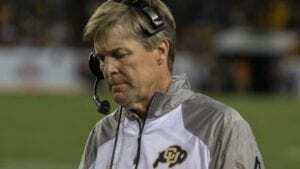 Coach Mike MacIntyre was officially let go over the weekend, despite having one game left to possibly save the season. While it is that time of year in which teams like Kansas go after a Les Miles, and USC ponders the future of Clay Helton, letting go of MacIntyre was premature at best, and here are six reasons why. Expectations – That Oregon State game really hurt, but MacIntrye thumped in-state rival CSU, thrilled all of us old-schoolers with an upset over Nebraska, handled Chip Kelly and Company, and had the Buffs undefeated and nationally ranked before the wheels fell off. Maybe the Athletic Director was thinking National Championship, but most of us were just hoping for relevancy, good tailgating weather, and maybe a trip to the Cheez-It, Popeye’s Fried Chicken, or Denny’s Grand-Slam-Breakfast bowl. Next Year’s Roster – Is the idea really to fire a coach, and most likely his staff, and bring in a completely new system for Senior-to-be QB Steven Montez? Injury has probably forced Heisman hopeful/wide receiver Laviska Shenault Jr. to return, and most of the other top receivers and offensive line return too. Is the plan to replace MacIntyre with Air Force’s Troy Calhoun while Shenault turns blocker, and Montez runs 40 times a game? Nate Landman will be a Junior next year, Alex Fontenot a Sophomore. One more game would have been right, and one more season with Mac would have made sense. 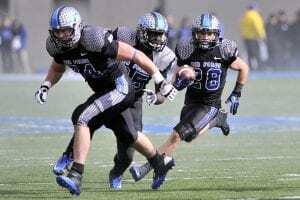 Recruiting – Supposedly MacIntyre had a pretty good class coming in next year. What do you think happens when a coach is replaced before the end of the season. The players decommit, the good players transfer, and the new coach starts from scratch with only his son, the 5’8 special-teams player, as his top recruit. Who are you replacing him with? – If Les Miles had agreed to the job, I get it, but he’s off to Kansas. Do you think Eric Bieniemy is leaving the Kansas City Chiefs? 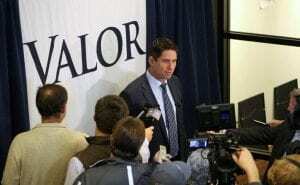 Is Valor High School coach Ed McCaffrey ready for the next level, and does he have more kids to bring with him? Do you think a Vance Joseph hiring would be a good PR move at this time? Admit it. You have no list. MacIntyre’s Resume – You fired the 2016 Pac-12 Coach of the Year, and the guy that was 10-4 and got us to the Alamo Bowl just two seasons ago? Agreed that his 30-44 record with the Buffs was nothing special, but remember that our coaches previous to Mac were Dan Hawkins (19-39 with no winning seasons) and John Embree (4-21 record). 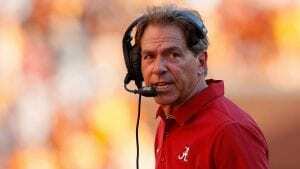 If this was partly about MacIntyre’s involvement in the Domestic Abuse charges against former assistant Joe Tumpkin, I get it, but the list of coaches that have won the AP Coach of the Year include MacIntyre in 2016, Dabo Swinney (Clemson), Brian Kelly (Notre Dame), Chip Kelly, Les Miles, and Nick Saban. What if the Buffs beat Cal?– Utah (8-3) was a touchdown favorite at Folsom, too good for the Buffs, and you can’t throw in the snow, but Cal (6-4) is beatable. I like that expectations in Boulder are beyond early December bowl games played somewhere in Topeka, Kansas, but did you really just fire a coach that could potentially have us in multiple bowl games over his short tenure? Should we be upset at the Buffs dropping six in a row and potentially failing to make a bowl game after such a promising start? Yes. Should we have a better coach, better recruiting, and more wins considering our history, our facilities, and our support of the program? Yes. But do the Buffs have a plan B that doesn’t include some cheap, random Assistant Coach from Southwestern Missouri State? I sure hope so.